Secure Folder by Password Protection in Win7/8/10. It is actually of paramount importance to secure our data, exactly like we protect the family. Data leakage will result in big troubles. For individuals, a lot of privacy concerns raise, whereas for companies, they will suffer from invaluable loss as a result of the data breaches. As the expansion of internet, the threat of Trojans and malware is increasing every day, and no one can be certain that his or her data is safe and sound all the time. To solve this problem, the security consciousness and good habit of data protection is advised. has the function to supervise the application of operating system and files, and this makes it possible for us to keep an eye on our PC any time any where. We may set the alarm to warn us by sending us an email immediately as soon as illegal users tries to access the files, and we may take some quick measures to reduce the potential risks. The alarm is also available if the wrong password is inputted by specific times, which we can set manually, and in addition to that, the login will be temporarily prohibited for 10 minutes in the mean time. 1. 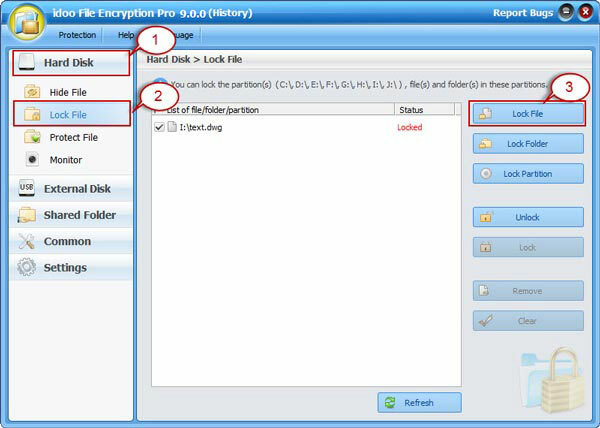 Select the file or folder you want to encrypt. 2. 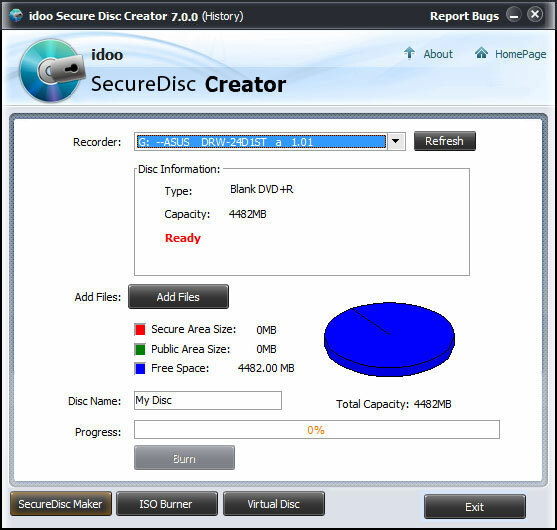 Right-click on it, and select the order "Encrypt to .exe " or "Encrypt to a copy" from the menu "idoo File Encryption Pro". Copyright © 2010. idooencryption All Rights Reserved.